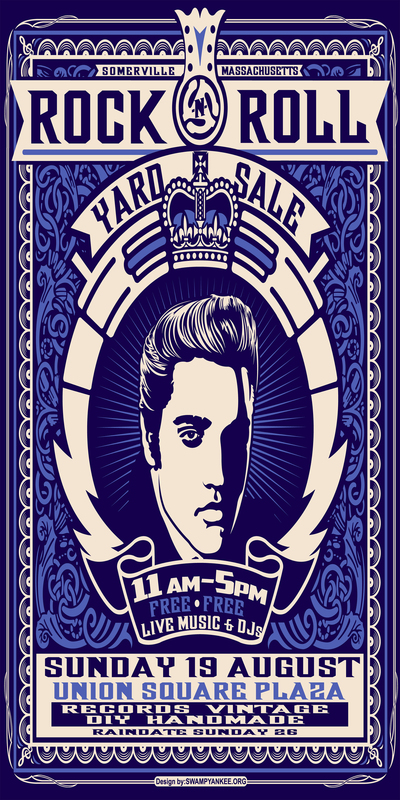 Somerville, MA (the Boston area) 11am-5pm – free admission! and look who will be performing live . . .
PETER PRESCOTT ✧ RECORDS / CDs . . .
set up in the parking lot adjacent to Grant’s Block! 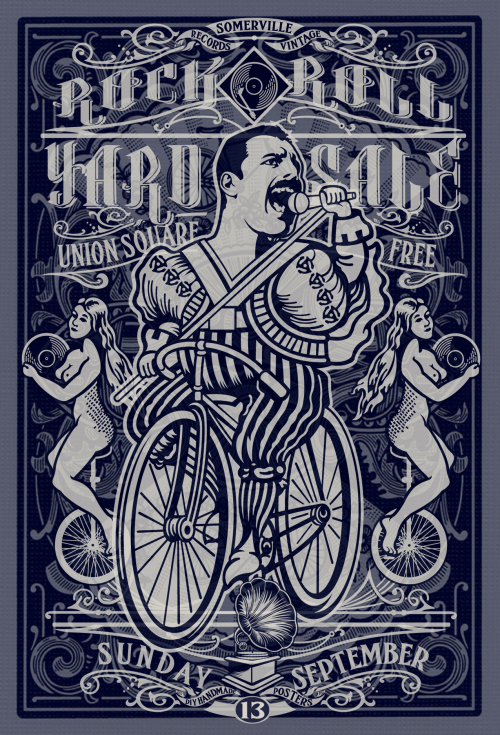 BIG WHEEL VINTAGE ✧ VINTAGE CLOTHING, CONCERT TEES, ETC. FOREST HAUNT ✧ BLEACHED T-SHIRTS + BEANIES W/ SKULLS, ETC. RECORDS THE GOOD KIND ✧ THE GOOD KIND OF VINYL RECORDS!
. . . and maybe more to be announced . . .
is part of their excellent ArtsUnion series. and our vendor list is below, so scroll on down . . .
elements like arrows, anchors, and fleur-de-lis for men and women. special contests to win Radiohead rarities. ice cold tall-boys for 21+ thirsty locals. and this collection will showcase unique perspectives. Also open by appointment. Call 508.324.1926 to schedule a day and time. at Union Square Plaza in Somerville, MA. and another on the West Side in the Fall). 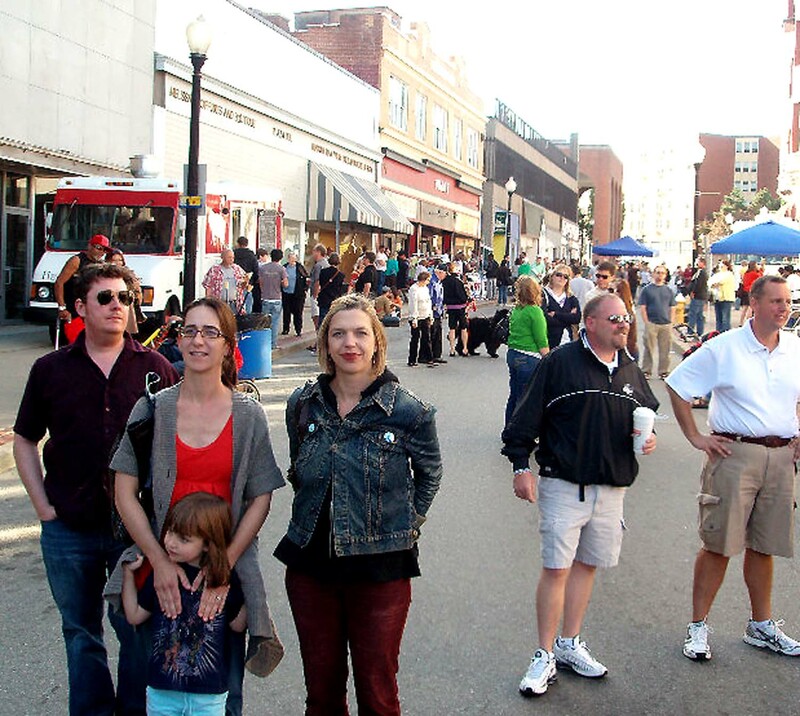 the 1st Annual Thayer Street Neighbor Days Block Party. selling Records + Vintage + DIY Handmade. 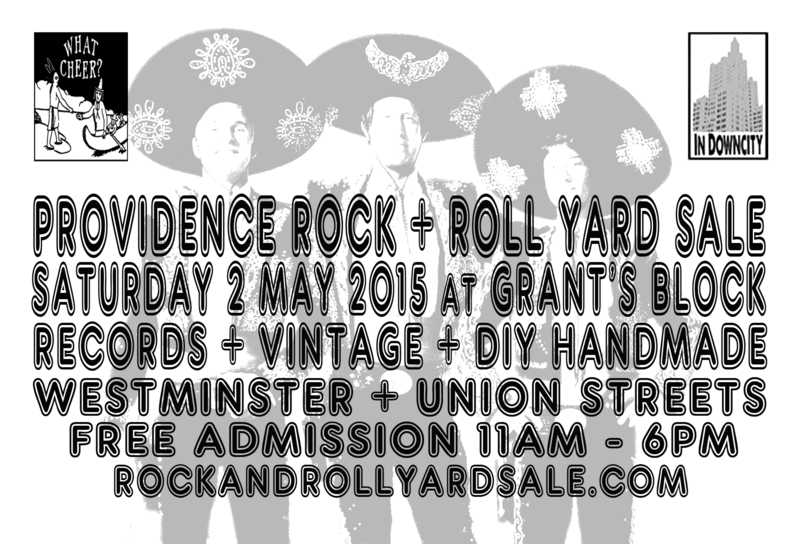 will be held on Saturday 2nd May 2015.
of Records, Vintage + DIY Handmade. plus DJs T. Law & Money Mike spinning Holiday Vinyl too. 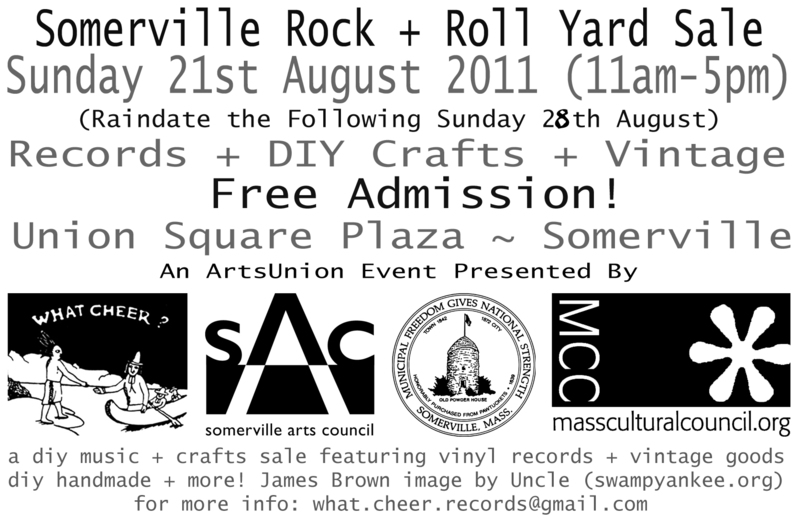 we do along with the Somerville Arts Council ! the hours are 11am – 5pm and it’s Free! 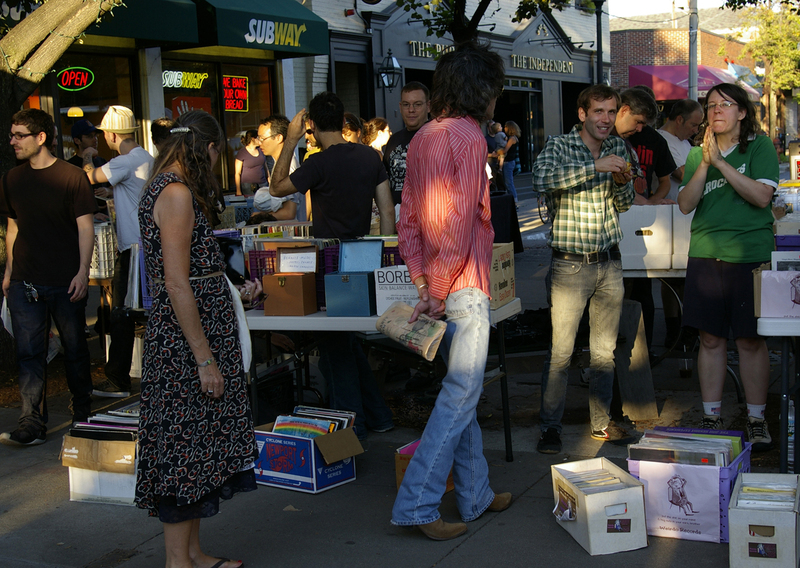 vendors selling Records + Vintage + DIY Handmade Goods and More! Uncle Pete of Swampyankee Design. 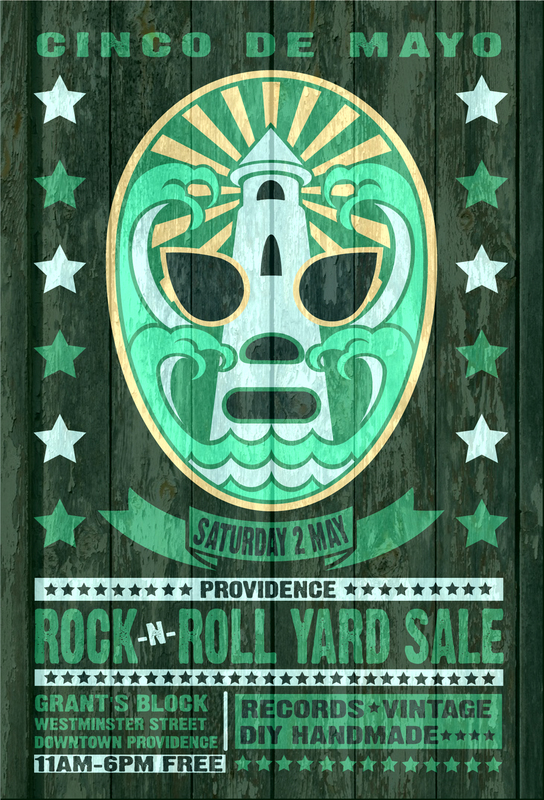 and Providence Rock And Roll Yard Sale ! a Live Band called Mariachi de Brown will perform as well. there will also be Outdoor Bars and Food Trucks! 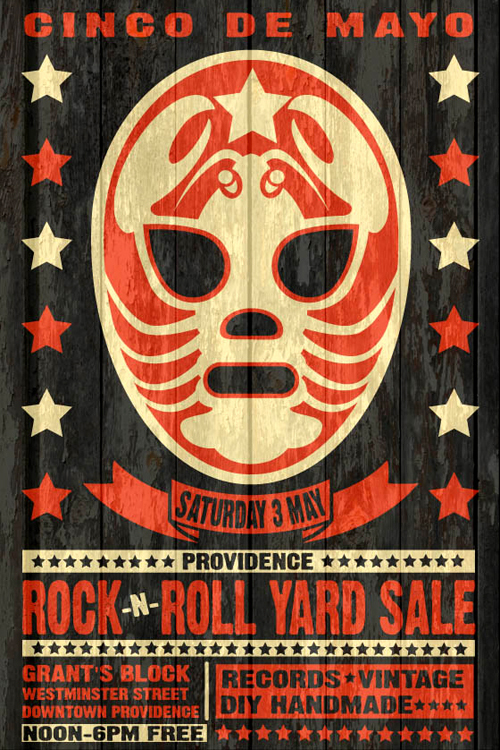 once again the Providence Rock And Roll Yard Sale will have Vendors at the Neighbor Days Block Party on Saturday 7th September on the West Side of Providence! A day of food, music, beer, record sales, raffles, games, fun and more with your neighbors. It’s free entry and there will be a cash bar from Narragansett and Revival Brewing. 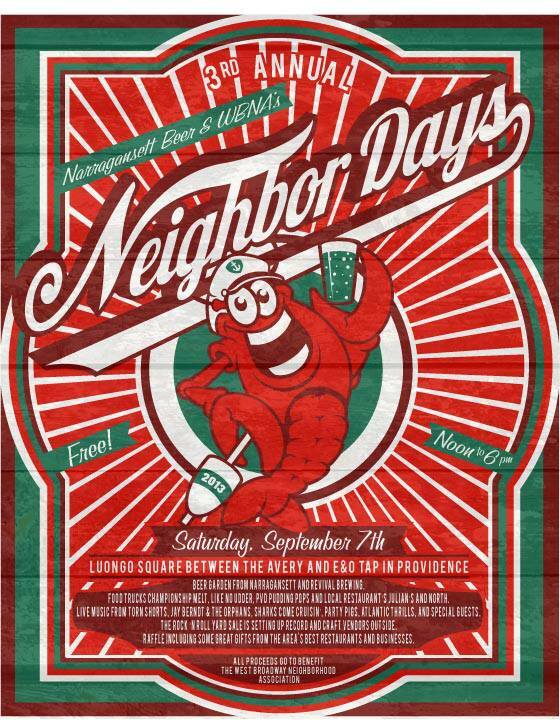 Narragansett Beer and the WBNA are throwing the 3rd Annual Neighbor Days Block Party on Saturday, September 7 from noon to 6pm in Luongo Square between The Avery and E&O bars. 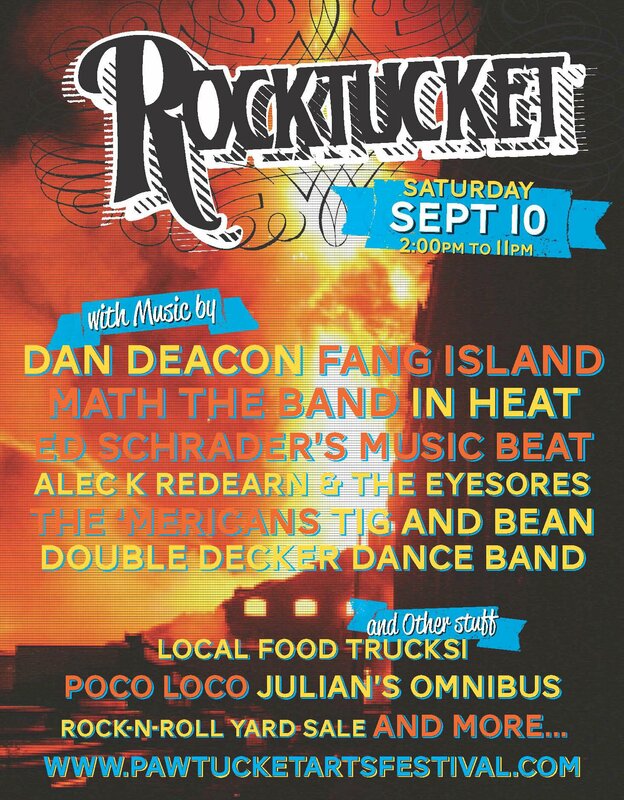 Narragansett’ll be debuting their new Bohemian Pils craft beer at this Block Party. It’ll be on tap and in 16oz cans. Food for sale from food trucks Championship Melt, Like No Udder, PVD Pudding Pops and local restaurant’s Julian’s and North. Bands include Torn Shorts, Jay Berndt & The Orphans, Sharks Come Cruisin’, Party Pigs, Atlantic Thrills, and special guests. 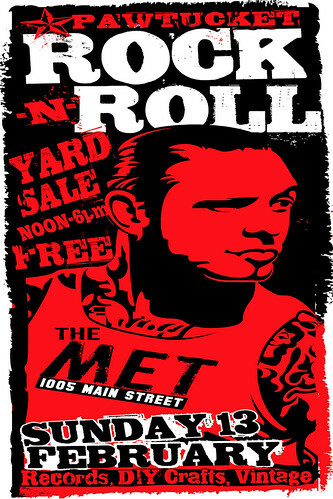 The Rock ‘N Roll Yard Sale is setting up record and craft vendors outside. The WBNA will be raffling off some great gifts from the local businesses like Suite Tart, Dash Bikes, Seven Stars Bakery, Armory Properties, Nick’s On Broadway, and more. All proceeds go to benefit the West Broadway Neighborhood Association. 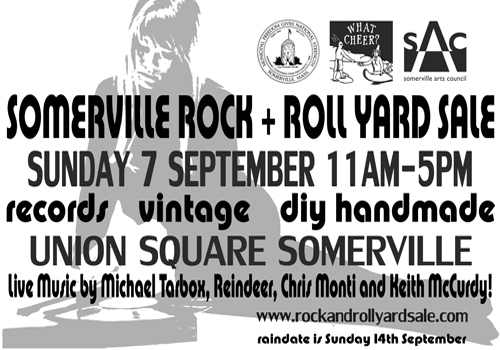 Our Next Event is the Somerville Rock + Roll Yard Sale 25th August 2013. 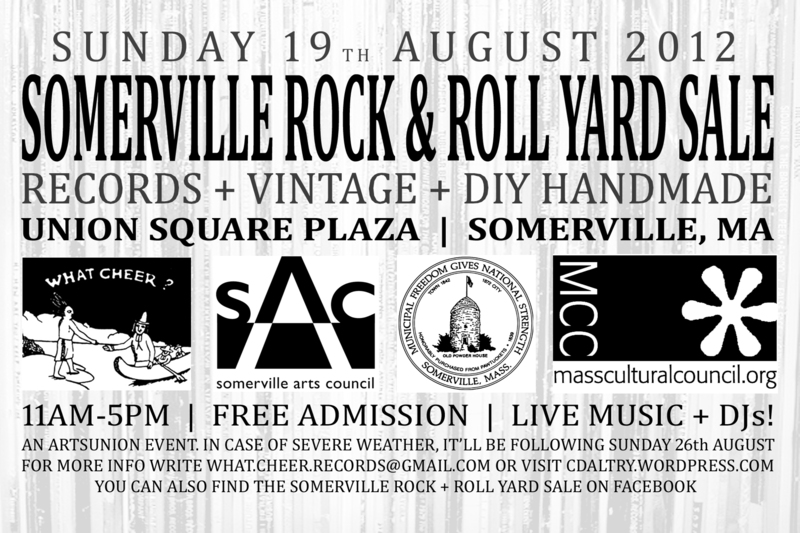 This Event will be held at Union Square Plaza in the Heart of Union Square in Somerville, Mass. The Event is from 11am-5pm and will feature Many Great Vendors offering Records + DIY Handmade + Vintage Goods. There will also be Live Music + a DJ Spinning Vinyl all afternoon. we’ll also be joined by PARL a.k.a. so be sure to talk to them about a pet. about all the great Beer their brewing. and DJ STEREOCILIA (Renee Bessette). like Brown University Students would. and bring your appetite, because Poco Loco Tacos, Mijos Tacos, Like No Udder, Trinity Brewhouse, Sprout and Tazza Caffe will all be serving up delicious snacks and beverages. 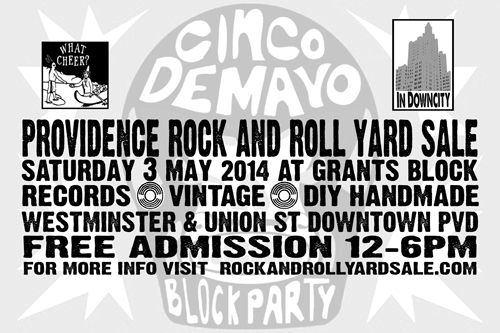 are behind this annual Cinco de Mayo Block Party. with our Annual 13th Anniversary + Holiday Party! 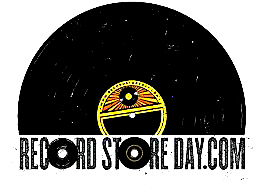 Limited Edition Vinyl Record Releases + a Sale on certain stuff in the shop. there will also be Free Ice Cold ‘Gansett Tall Boys all day! plus DJ sets by Bili Sparrow! the Somerville Arts Council and is part of their ArtsUnion Program. and the sort of thing you won’t find anywhere else. 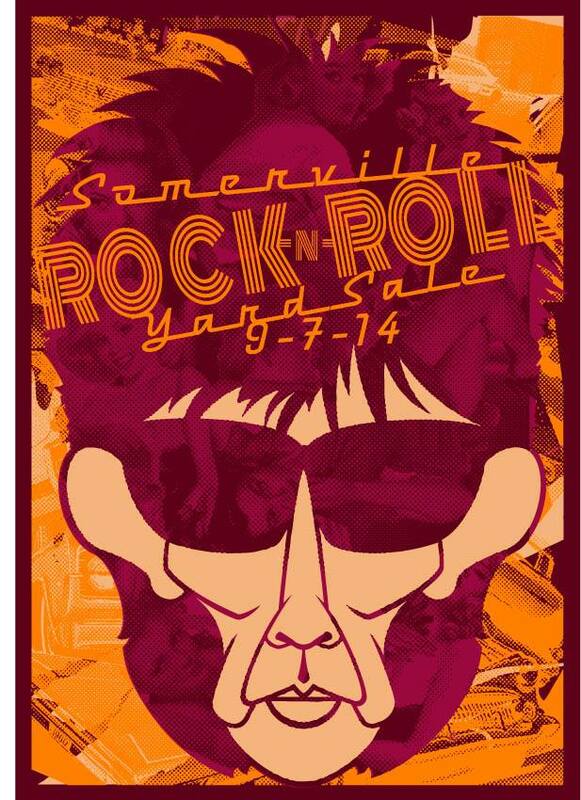 organized and promoted by Chris and Jennifer Daltry of What Cheer Records and Vintage of Providence, Rhode Island. Visit What Cheer? at the corner of Thayer and Angell Streets (Upstairs) on the East Side of Providence. the shop is fully to the brim with Vinyl Records, CDs, Vintage Clothing and Textiles, Books, Postcards, Vintage Eyeglasses and Other Things and Antiques. also – Don’t Vote for Mitt Romney in November! 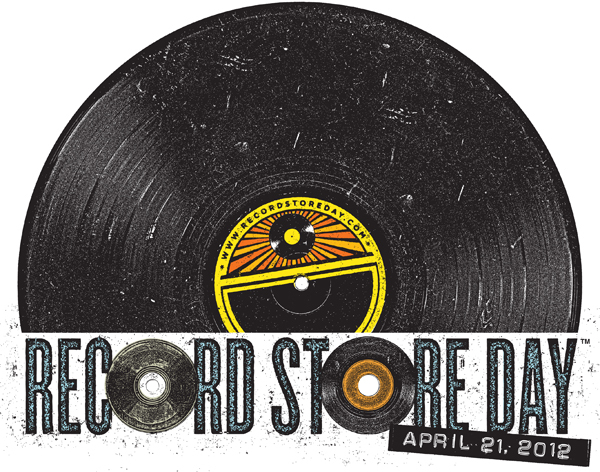 this Saturday 21st April 2012 What Cheer Celebrates Record Store Day with a 50% Off Sale! Records, Posters, Magazines, Etc . 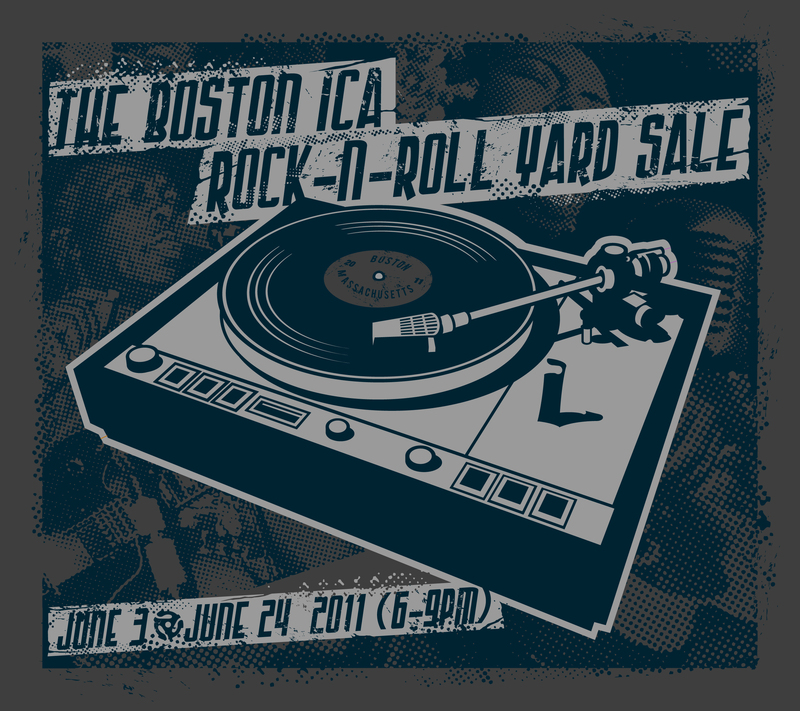 . .
Rare + Unusual Records + Maybe Vintage Clothing from Deb & Eric of the Legendary band Plan 9! Johnny “The Colonel” Maguire will have great Records, Vintage + More! click here for our Facebook Event Page for this! Support Local DIY Small Businesses & Artists! of the vinyl record on visual art. in June with DJs and Collectors Spinning Vinyl Each Friday in June. and Providence’s Ty Jesso of Soul Power / Soulelujah closes out the night. songs that celebrate every human permutation of the decidedly odd. DJs / “Dimensions Of Disco” Theme Night! held. This is a Celebration of the Vinyl Record! 90″ x 90″ and is really amazing to see in person. celebrity record collectors like R. Crumb, Peter Buck (R.E.M.) and others. industry is in right now. 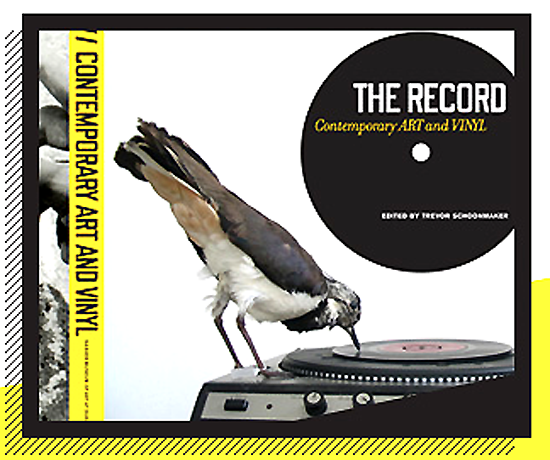 the record is no fad – it is lasting and wonderful! 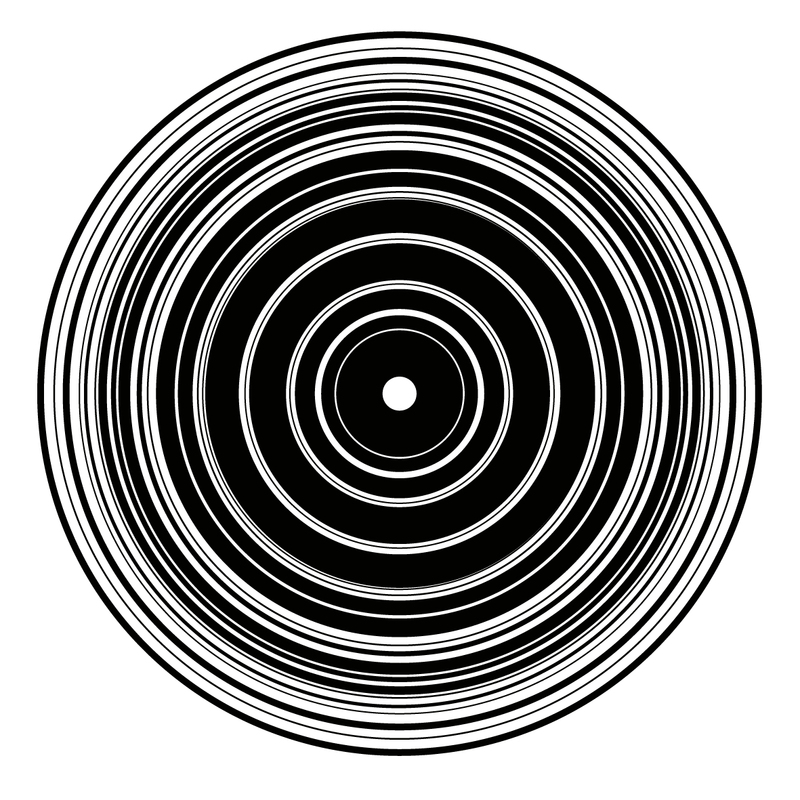 contemporary visual artists have been inspired by Vinyl Records. from their collections – there will likely be local music celebrities! Somerville Arts Council’s ArtsUnion program.